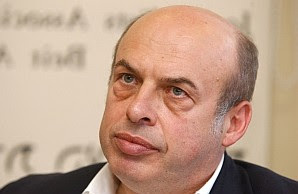 Author Natan Sharansky survived the communist gulags and by President Bush's own admission has been a huge influence on him, especially Sharansky's book 'The Case for Democracy: The Power of Freedom to Overcome Tyranny and Terror.' The president personally awarded Sharansky the US Medal of Freedom in Washington. 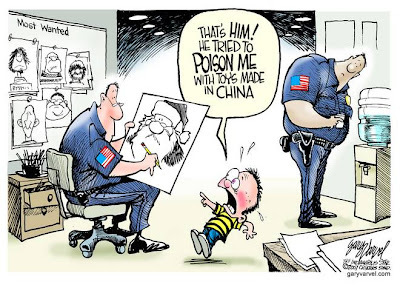 "I have to give Bush credit, because he brought back the agenda of linking security and democracy, which was abandoned by the free world after the defeat of the Soviet Union. [But] what makes it hard for him to implement it is that he's so lonely." "Many politicians and institutions that should be promoting democracy and freedom are cynically reluctant to do it, because Bush raised the agenda," Sharansky went on. "That's why I give Bush an "A" for raising the idea, a "C" for implementation and I give his opponents, who abandoned the idea, an "F," because they are attacking Bush not for inconsistency in implementing the agenda but for raising it. Their approach denies the people of the Middle East the ability to live in freedom." Sharansky pointed out three instances where he felt President Bush could have and should have been more consistent: the Palestinians, Egypt and Saudi Arabia. He claims he tried three times unsuccessfully to prevent the president from insisting on the Palestinian election last year that was won by Hamas. "I told Bush before and after [the vote] that quick elections cannot replace the democratic process," Sharansky said. "Elections require a free society. Elections have to be the last step of the democratic process." For my part, I'd add Lebanon and Iraq to that list. They've all been failures because, without a background and history of free institutions, Islam and tribalism trump everything else...as we've seen. One of the central problems, as Sharansky points out is that the US State Department insists on supporting `friendly' dictators like Egypt's Mubarak in spite of their corruption and hostility to democratic reform, and Bush has essentially gone along with it. And Sharansky points out the essential dichotomy of our Middle East policy quite succinctly. "America was afraid that if they would fight corrupt dictators, the Muslim Brotherhood would come to power in the Middle East. When America starts speaking powerfully, democratic dissidents are strengthened. But when America makes dictators allies, the dissidents are weakened and Islamic fundamentalism is strengthened. That's why America should not support Mubarak or Saudi Arabia." "America has wanted for many years to make Saudi Arabia part of the solution in the Middle East, but if you believe in a link between security and democracy, it's not possible," Sharansky said. "It's true that Saudi Arabia is against Iran, but it's ridiculous to say Israel has to make concessions to bring the Saudis on board the Middle East peace process. Bush said only leadership that brings democratic reforms can bring peace to the Middle East. That's the last thing the Saudis want to do. Democratic reforms are almost as big a threat to the Saudis as Iran." For that matter, democratic reforms are also a threat to Iran, and it's one area where the Saudis and Iran agree heartily. As a matter of fact, there are a number of things the Saudis and Iran agree on, including jihad against the West, and I would differ with Sharansky that they're as opposed to each other as he might think...at least in the short term. However, Sharansky is spot on in pointing out that in order to truly encourage democracy and freedom in the Middle East and enhance our own security, we are going to have to consistently support people in the region who actually favor freedom and democracy..and that's going to mean finding Arabs and Persians who are secular in outlook, who favor political equality over tribalism, and whom support a free press, the liberation of women and a free society. It is also likely to mean the defeat and discrediting of radical Islam, given the Middle East's honor/shame culture...and that includes here in America, where loyal, patriotic decent Muslims need to be encouraged instead of the racist Wahabi radicalization pushed and funded by the Saudis. If President Bush had forcefully followed the Bush Doctrine to the letter and been more consistent to those principles without temporizing them to please the Saudis and others and had been less willing to coddle radical Islam here at home, we would be much farther along in winning this war. Remember the two `two non-Americans of Middle Eastern descent'(let's not call them Arabs!) apprehended near the Goose Creek Naval Station in South Carolina? The ones CAIR characterized as "really naive kids" who were joyriding around in a car that happened to have `fireworks' left in the trunk from the 4th of July? The `fireworks' that turned out to be pipebombs and necessitated a controlled demolition? 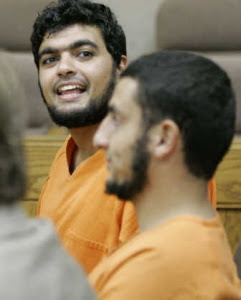 As I also revealed previously in my coverage of this story, both of these wanna be jihadis have been linked to linked to Sami al-Arian and Islamic Jihad and both hail from al-Arian's old stomping grounds at the University of South Florida. And as you know, Islamic Jihad is mostly funded and controlled by our friends in Iran. Anyone want to bet there's a terrorist cell in place at UOSF? Needless to say, the dinosaur media is still busy covering the men's room beat and you won't see this there. Why Make Deals With Someone Who Can't deliver? "A Palestinian leader who feels safer in Jerusalem, Paris and Washington than in Nablus and Jenin will never be able to deliver. This is how a senior Fatah official in Ramallah reacted to this week's summit in Jerusalem between PA Chairman Mahmoud Abbas and Prime Minister Ehud Olmert. The two leaders are said to have discussed, for the first time in seven years, "core" issues such as the status of Jerusalem, the final borders of the future Palestinian state and the "right of return" for Palestinian refugees scattered throughout the Arab world. In recent months, especially after the Hamas takeover of the Gaza Strip, some Palestinians have been referring to Abbas jokingly as the mayor of Ramallah, since the only time he leaves the city is when he travels abroad. A visit to Nablus or a refugee camp in the West Bank remains out of the question, mainly for "security reasons," as one of his aides said this week. 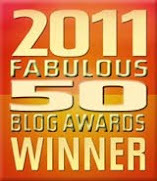 A great capsule look at the Israeli/Palestinian situation, and highly recommended..read it all. 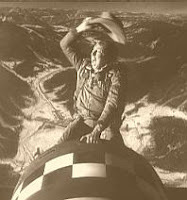 Another antiwar Democrat has looked at the polls and decided to `nuance' his position. Senator Harry Reid just admitted, to all intents and purposes, that 'the surrender is lost'. The WAPO article does its best to spin this, titling the article `Reid Opens Door to Pact With Antiwar Republicans', and making numerous excuses for the senators' change of direction, but it's obvious that Reid is trying to carve himself some wiggle room. "I don't think we have to think that our way is the only way," Reid said, talking about his push for a specific date of troop withdrawals. "I'm not saying, 'Republicans, do what we want to do.' Just give me something that you think you would like to do, that accomplishes some or all of what I want to do." I was particularly moved by the senators' account of visiting one of our wounded warriors at Walter Reid...particularly in view of the fact that Code Pink, one of his party's biggest supporters gave over half a million dollars to our enemies, and Code Pink and MoveOn organized regular `demonstrations' at Walter Reed specifically targeted to taunt our wounded men and women there. Of course,I wouldn't expect the WAPO to bring up such an embarrassing factoid. One more time, the usual clarification: As regular members of Joshua's Army know, I have serious problems with our rationale for invading Iraq in the first place and with the way the war has been mismanaged by the administration, but I'm also astute enough to realize that legislating a victory for our enemies as Senator Reid and his friends tried to do is harmful to our war effort..,and dangerous, in ways Senator Reid and those like him could obviously not give a rip about, so long as they win the White House in November. Moqtada al-Sadr decided to order his Mahdi Army to `stand down' and declared a unilateral 6 month cease fire today in Iraq. This follows two days on gunfights in Karbala between Mookie's gang and the other major Shiite militia, Ayatollah Sistani's Badr Force, who took some time off from targeting homosexuals, Sunnis and immodestly dressed females to engage in a turf war with the Mahdi Army. Both militias are more or less controlled by Iran, and I would hazard a guess that the orders for the ceasefire originated there...no sense fighting among ourselves now, is there, muhajadeen? Not only that, but it has the added bonus of quieting things down in south Iraq so that the Brits can make a quick job of scurrying off home from their beseiged redoubt near the airport in Basra come September and the militias can take over for their Iranian bosses. First off, there was the unprecedented remarks of French President Nicholas Sarkozy, which came just after he spent some face time with President Bush at Kennebunkport. Addressing 180 French diplomats Monday, Aug. 27, Sarko called Iran’s nuclear program the world’s most dangerous problem and said a nuclear-armed Iran would be unacceptable, and that the world must tighten sanctions while offering Iran incentives to halt their nukes program. "This initiative is the only one that can enable us to escape an alternative that I say is catastrophic: the Iranian bomb or the bombing of Iran," he said. Sarkozy is the first important Western leader to actually openly mention the possibility that Iran had better come to terms with the West or risk an attack on its nuclear installations. Of course, Monsieur Le President didn't say whether France would actually take part in an attack on Iran, but he stressed French backing for Security Council sanctions over Iran’s refusal to back away from uranium enrichment. This probably strikes certain countries in the Middle East as un petit encroyable in view of France's recent deals with Libya and approaches to other Arab countries on selling them nuclear reactors, but there's no doubt that it was a firm message to the mullahs...and probably based on his conversations with President Bush. Iran's response has been to expand its nuclear program, despite Inspector Clouseau IAEA head Mohammed El Baradi's efforts to put a positive spin on things for his Iranian pals. Iran's President Ahmadinejad, for his part, is making no bones about it. In a press conference given the day after Sarkozy's, he said plainly that the `nuclear case is closed', and the US is unable to attack Iran. "I announce officially that from our point of view Iran's nuclear case has been closed....Those thinking that by diplomatic and discriminatory gestures and by abusing their power in the world decision making bodies, they could force the Iranian nation to withdraw from its position, have today come to the conclusion that their path has been wrong." Ahmadinejad said bluntly that the US is unable to attack Iran, and that if it did so, any action against the Iranian nation will be given proper response. "I consider it unlikely if the US takes any such illogical and illegal action because the measure would turn into a joke worldwide. I have not heard any such claim raised officially by the US administration," said Ahmadinejad. He also showed that he's a regular reader of the New York Times and watches CNN. "We think there is a rift in the US: Some wish to solve problem logically and some others, whose arms manufacturing plants have gone bankrupt, want to escalate tension worldwide. The second group wants to foil efforts of the first one." Ahmadinejad went on to say that Iran and neighboring countries like President Bush's `eternal friends' Saudi Arabia will fill any vacuum in Iraq left by a US withdrawal. "The political power of the occupiers is collapsing rapidly," Ahmadinejad said "Soon, we will see a huge power vacuum in the region. Of course, we are prepared to fill the gap, with the help of neighbors and regional friends like Saudi Arabia, and with the help of the Iraqi nation. ...The government, parliament, president and prime minister of Iraq all love Iran. 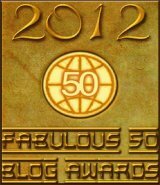 Today formation of government in Iraq is in favor of all and Iran. ..Charging Iran is not a solution to their problems. We do not insist on taking them out of the quagmire. We have already said we are ready to help them get out the swamp but now that they emphasize to remain in it, so let it be so." Well, that's pretty clear, but then Ahamadinejad, to his credit has been clear from day one. I get the feeling the mullahs aren't feeling overly peaceful and conciliatory at the moment. Meanwhile, Iran is shelling Iraqi territory in Kurdistan and making Kurdish villages on the borders uninhabitable , and the Kurds just captured 10 Iranian agents in Kurdistan sent over by the Iranian intelligence agency(Itlaat). We're doing nothing to stop them...although we're now also arresting Iranians we catch in Iraq on a more consistent basis. John Bolton, who knows about these things says that the diplomatic options on Iran are pretty much used up, and that he thinks the Bush administration will probably attack Iran in the next few months. "Iran is interfering in Iraq and is posing a direct threat to our troops. I think if President Bush as commander in chief believes that information is accurate, he is fully entitled to take defensive measures, which could include going after the Revolutionary Guards inside Iran." As I've often said, no matter how superbly our military performs in Iraq, without confronting Iran and changing the political situation on the ground, it's not going to ultimately help our war effort. Pakistani President Pervez Musharraf continues to cling to power. Depending on whom you talk to, Musharraf is either going to announce that he's giving up his position as army chief of staff ( which is exactly what the opposition demanded, and what led to the whole Choudhrey mess ) or he's going to retain it and form a power sharing coalition with his new ally, ex Prime Minister Benezir Bhutto. 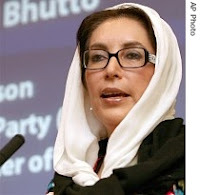 Bhutto has been meeting with Musharraf's aides in London, where she has been living in self-imposed exile following allegations of corruption during her two terms as prime minister. Part of the proposed deal involves legislation that will...um..forgo any further investigation of those charges and lift the ban on serving a third term as prime minister. Another wild card in the mix is former prime minister Nawaz Sharif,who wants to run for re-election and says he is willing to risk jail in order to return to Pakistan ahead of Ramadan in mid-September. Unlike Bhutto, Sharif has refused to negotiate with General Musharraf, who ousted him from power in a coup back in 1999. Meanwhile, the Pakistani Supreme Court, complete with re-instated chief justice Choudhrey has stepped in and agreed to rule on a challenge to the legality of General Musharraf's dual role of president and army chief and to his re-election by the country's existing legislature.....and to say that they have an axe to grind is an understatement. And of course, there are the various Islamist elements as a sort of hemlock in this particular nuclear armed witch's brew. 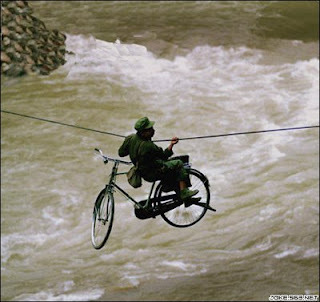 I wouldn't hazard a guess on which way this one's going. Look for some interesting news to come from Pakistan fairly soon. Some of those non-existent Iraqi weapons of mass destruction were found in a sealed container stored at the UN today..namely vials of phosgene nerve gas. According to al-Jazeera and a number of other sources, Israeli PM Ehud Olmert is sitting down with Palestinian capo del tutti Arafat II Mahmoud Abbas and eagerly preparing to mandate Israel's retreat to what Abba Eban famously referred to as the `Auschwitz Lines', Israel pre-1967 borders.Only what Olmert is reportedly offering Arafat II Abbas is even more suicidal. This, of course is a preparation for the Bush Administration's `peace conference' in November, where US Secretary of State is expected to put the squeeze on Israel for huge concessions to the Palestinians. According to what's been leaked, Olmert has offered the Palestinians 92% of Judea and Samaria (The West Bank). He's also willing to redivide Jerusalem, and in exchange for the small part of Judea and Samaria Israel wants to keep, has offered Abbas other territory now part of Israel, reportedly a corridor in the Negev to connect Gaza and the Palestinian West Bank. A corridor like that would bisect Israel, cutting off Eilat and Israel's Red Sea access in the event of an Arab attack, and it would allow the Palestinians to ship fighters and heavy weapons from Gaza to say, Ramallah or East Jerusalem to attack Israel's densely populated central coast areas. by the Arabs from the Palestinian territories. Even more ominous, Olmert has put his old pal Haim Ramon in charge of the negotiations with the Palestinians. Given his history,that's roughly equivalent to putting Cindy Sheehan in charge of the Iraq War. Of course, the quid pro quo Olmert is asking for are guarantees that Abbas will refrain from relations with Hamas. Considering that Fatah has already channeled weapons and money to Hamas and is conducting negotiations with them for a sulwah (reconciliation) it's obvious that Abbas will wait to extract the maximum he can from Israel and the US before announcing that -surprise! - he and Hamas are back in bed together. For that matter, Hamas already has a solid foothold in the West Bank. This comes at a particularly poor time for Israel, as cuts in defense spending during the Olmert administration and morale and organizational problems in the IDF that relate to the politicization of the Army and Defense ministry over Gaza, the misuse of the Army in Lebanon and in evicting Jews from Amona and Hebron need to be addressed. 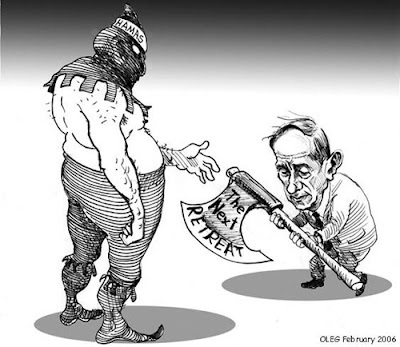 While the Oleg cartoon above shows Olmert handing the Hamas executioner the axe to kill him with, Olmert himself is likely to be safe in Paris or New York when that axe falls. He has proven himself more than willing to sell out his own country in order to save his skin, stay in power and avoid being dragged off to jail on corruption and bribery charges. Olmert has close to zero public support, but is being kept in power through a coalition of politicians who are likewise afraid of being turned out of office if the country goes to new elections. The Israeli people had better insist on those elections and get themselves some leadership while they still have a country to call their own. 1. JOSHUAPUNDIT : Iraq As Vietnam...Or Vice Versa President Bush invoked comparisons between the way `elected officials' conducted themselves during the Vietnam war and during our war in Iraq in a speech to the Kansas City VFW, and the proverbial fit hit the shan as Democrats denounced him for invoking something they'd increasingly like to forget...especially since some of the same players with blood on their hands from that shameful time are still in congress. Of course, as I point out, there are other similarities in the war in Iraq with Vietnam that the President chose not to mention....and I only hope that he's absorbed those lessons from history as well, as is prepared to make sure history doesn't repeat itself. 2. Done With Mirrors: What, Do You Think? Callimachus uses lefty blogger Glen Greenwald as an example to make the point that Greenwald and people of his ilk can be defined most accurately not by what they claim they are, but by what they are against. 3. Soccer Dad: Separate But Unequal Soccer Dad compares two schools...the Khalil Gibran International Academy in Brooklyn, NY with Ben Gamla Charter School in Florida. Both are charter schools and as such receive public money. The misnamed Gibran school (Khalil Gibran was a Lebanese Christian and pacifist) is designed to be Islamist in origin, by the admission of its original principal, Debbie Almontaser. "The school won't shy away from sensitive topics such as colonialism and the Israeli-Palestinian crisis," she was quoted as saying and the school will "incorporate the Arabic language and Islamic culture." The Ben Gamla School is run by an Orthodox Jewish Rabbi, will serve kosher meals and teach Hebrew, and has submitted two curiculems to the Broward County School board to show that it is attempting to abide by the regulations for non-secular studies. While Soccer Dad focuses on the fact that one school has received a relative pass from officialdom while the other has been harassed, I'll pose a more basic question: leaving aside the question of whether public monies should be used for schools of this nature, which school is more likely to indoctrinate and radicalize its students and thus be more of a danger to the US? 4. The Glittering Eye : They Don't Understand the Incentives (Updated) This week, The Glittering Eye's Dave Schuler focuses on the Maliki government and why it's acting as it does. I totally agree with him..these corrupt, tribalist Iran friendly thugs should never have been allowed to take power. Our military victories in Iraq will not serve the purpose they should in this war unless we deal with the political question...and/or deal decisively with Iran. 5. Bookworm Room: The New Conspiracy Theorists Ms. Bookworm looks at Leftist ideologue Naomi Wolf then and now and makes some pungent observations on the Angry Left's conspiracy theorists. The local Democrat leader is one John Cobarruvias, and the Republican in question is former White House spokes person Ari Fleischer. Greg wants to know whether Texas Democrats who are close associates of Cobarruvias like Congressman Nick Lampson and senate wannabe Rick Noriega are going to distance themselves from these foul, racist remarks. I can almost guarantee you they won't. Y'see Greg, as liberal San Francisco Supervisor Mark Leno and Assemblywoman Carole Migden found out, Jews are `more assailable' these days. And Lampson and Noriega are much more interested in power than in right or wrong. 7.Colossus of Rhodey: "Sanctuary" Cities Hube writes on another aspect of the unfortunate Newark killings and wonders whether Newark's status as a sanctuary city for illegal aliens had something to do with it...ya think? 8. Cheat Seeking Missiles: Lotsa Dead Terrorists Laer writes about a simple truth of the Iraq war that's often ignored..that our warriors have sent a lot of jihadis to meet Allah, and that's a very good thing. 9. Victor Davis Hansen - Why We Must Study War at Okie on the LamThis week, Okie uses a piece by classicist Victor Hansen Davis as a takeoff point for an examination of why the study of war and military history is an absolute necessity. If nothing else, studying war and military history enables us to save a lot of lives by nipping certain situations in the bud before they become overtly costly in terms of human life...a point I tried to make in my own piece this week. 10. Right Wing Nuthouse: Jesus Lord, Are They All Hypocritical Bastards? 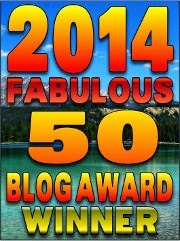 Rick's piece this week deals with the Larry Craig scandal, something I won't dignify the pages of this site by examining. Both Rick and Edwonk have interesting takes on this, for those of you who want one. 11.The Education Wonks: Washington Watch : Another Hypocrite Exposed EdWonk also looks at the Larry Craig incident...please see my comments above. Not unexpected, but Turkey took another firm step in the direction of Islamism with the election by Parliament of foreign minister Abdullah Gul as Turkey's president, giving the Islamist AK party of Prime Minister Erdogan a virtual rubber stamp in government. Joshua's Army members, of course, are very familiar with Gul, especially his desire for Turkey to align with Iran's Islamist bloc. Unlike previous presidential elections, Gul's inauguration was avoided by the army's top commanders and much of the secular elite, including the main opposition Republican People's Party who lost the last early elections sparked by massive anti-Islamist protests in Turkey against Erdogan's desire to ramrod Gul's presidency through parliament. 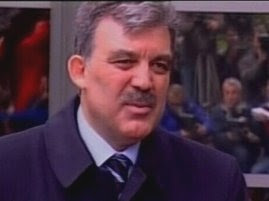 Gul's election and the ascencion of an Islamist government to virtually all positions of power in Turkey led to a warning by the Turkish military, with Armed forces chief General Yasar Buyukanit saying bluntly that the army would exercise its constitutional mandate to protect Turkey's secular republic if it saw the separation between religion and state threatened. "Unfortunately every day in different ways appear furtive plans which aim to undo the modern advances and ruin the Turkish republic's secular and democratic structures. The Turkish armed forces, as up until now, will never sway from its determined stance and its duty of protecting and watching over the democratic, secular Turkish Republic. Our nation has been watching the behavior of centers of evil who systematically try to corrode the secular nature of the Turkish Republic." Here's an update from our friend Zombie on the Al Haramain case , an amazing trial going on in front of the infamous Ninth Circuit Court of Appeals that is a watershed in the War on Jihad as it's waged here on the home front. Needless to say, the dinosaur media is far more interested in other things. If you'll recall, the gist of the case concerns whether the United States Government has the right to conduct secret surveillance of terrorism suspects on American soil. In my original story on the Al-Haramain surveillance hearing, there are links to sources showing the extensive connections of the Saudi financed Al Haramain `charity' to Islamic terrorism and al-Qaeda, and I invite you to reread it, click on those links and read for yourself exactly whom these people are and whom they're connected with. Several governments, including the U.S., Britain, and even the UN busted Al Haramain for financing al-Qaeda and specific terrorist attacks and various foreign branches of the `charity' were broken up or shut down as it was designated a terrorist organization. In 2004, the U.S. branch of Al-Haramain in Ashland, Oregon came under investigation and the US government allegedly tapped their phones and heard evidence that they were helping to finance terrorist activities. It's not known if warrants were obtained, or if the calls were domestic or international. Partly based on intelligence gathered during this surveillance, the U.S. government declared the Oregon branch of Al-Haramain a "specially designated global terrorist organization" and froze their assets. Al Haramain challenged this in court, unaware of the evidence the Feds had. Unfortunately, during the discovery portion of that litigation, a government employee accidentally gave top secret logs of the tapped phone conversations to Al Haramain's lawyers as part of a stack of documents. Once they got hold of that juicy little tidbit, Al Haramain hooked up with Leftist lawyers who decided to turn this into a test case to challenge the very legality of the surveillance, and by extension the legality of all secret surveillance. The idea is to set a legal precedent to stop the Federal government from conducting surveillance on anybody, to prevent any similar surveillance in the future, and to make inadmissible any evidence gathered by surveillance in the past. The implications if they get away with it are staggering. The government is trying to challenge the case as presented by suppressing the evidence of the leaked surveillance logs on grounds that its exposure in open court would endanger national security. The Feds requested and eventually obtained all U.S. copies of the logs, but not before an unknown number of copies made their way overseas. The entire case now revolves over whether the plaintiffs even have the legal right to sue the government. In order to prove they have a right to sue, they have to prove they were under surveillance and the only evidence of that is the top secret logs the feds claims are Top Secret, and thus not admissible evidence. Al-Haramain's lawyers want to proceed with the case based on the memories and descriptions of the document, using testimony from the various people that saw it before it was given back to the government. The attorneys for the government are claiming that the document and its contents are classified and secret, and as such cannot even be discussed in court,even as memories. And it also places a major burden on the government's case since testimony based on the witnesses' `memories'(prompted, no doubt by careful study of copies I'm sure Al Haramain's lawyers have retained) could only be challenged by referring to the document itself, which the government says it can't do, because of its classified nature. That's what's being argued before the Ninth Circuit Court. Zombie has a pretty good account of what went on in the courtroom, and interested parties should refer to his article for a blow-by-blow on this. For my purposes, I'll only say that the three judges who heard the case consist of two Clinton appointees and a superannuated Carter hack with a reputation as one of the most Left-leaning appellate judges in America. Needless to say, throughout the trial the three judges were mocking and sarcastic towards the government's lawyers and polite and sympathetic to Al Haramain's. The 9th Circuit will likely rule in favor of Al Haramain and this will undoubtedly be referred to the Supreme Court no matter which way it goes. Not being a lawyer, I can't claim expertise but it seems to me that the government is trying to put toothpaste back in the tube after it's been squeezed. Since the classified logs have already been revealed to our enemies both foreign and domestic and any operational details are already `blown', it might behoove the feds to use that evidence when it comes before the Supreme Court and put the jihadis away for a long time. One thing that may be effecting that decision is the fact that Al Haramain is, like most of radical Islam's agenda in America financed by President Bush's `eternal friends' the Saudis. Certain revelations might end up being embarrassing. OK, eye candy aside, Australia has unveiled a new draft citizenship test that represents a major effort to emphasize Australian values and patriotism. Migrants who want to become Australian citizens will now have to study a 40 page booklet in order to be able to answer questions on the country's history, political institutions and what it terms as national values, including freedom of speech, religion and association, gender equality, and tolerance. Wannabe Ozzies need to get to 12 out of a possible 20 questions right, drawn from a bank of 200. Immigration Minister Kevin Andrews said the test aimed to reflect Australia's balance between ethnic diversity and social cohesion. "This is part of the government's emphasis -- that we continue to get that balance between diversity and integration correct in future, particularly as we now draw people from so many different countries and so many different cultures," he told reporters in Melbourne. Would-be Australians should also understand English, he said. "Whether it's to be able to work or whether it's to be able to mix effectively and be part of the broader Australian community, then an understanding of the English language is important," the minister said. "We are trying to encourage people to learn English because we think that is the way they will achieve their aspirations." Andrews said he believed the document would receive the approval of most Australians. "If a group of Australians had to sit down for an hour or so and come up with what they thought were the common values that we share in this country, I suspect they would come up with a list fairly much like we've come up with," he said. Like PM Howard said,"Live here, be Australian." Our own US Justice Department is now going to sponsor an Islamist convention held by the Islamic Society of North America (ISNA) — an unindicted co-conspirator in the ongoing federal Holy Land Foundation terrorist funding case. For those of you who've forgotten, ISNA is the Saudi funded front group used to promulgate the Islamist wahabi doctrine by taking over and radicalizing America's mosques and madrassahs. If even half of the stuff that's come out in the the Holy Land Foundation trial is accurate, they've been involved in raising money for terrorist organizations as well...and our Justice department is going to co-sponsor their annual convention. Needless to say, this isn't sitting well with the DOJ's rank and file lawyers, who are afraid it could undermine the case against the Holy Land Foundation in Dallas. "There is outrage among lawyers that the Department of Justice is funding a group named as a co-conspirator in a terrorist financing case," said a Justice lawyer who spoke to The Washington Times on the condition of anonymity. "This is an important outreach opportunity, and a chance to reach a community that is at once very much discriminated against, and very wary of the national government and its willingness to protect them. "It would be a great step forward to break through those barriers. And Chicago is lovely this time of year." A second lawyer responded to Mrs. Lorenzo-Giguere's e-mail by saying that it "seems like an odd time for one part of DOJ to lend credence and visible support to ISNA at the same time DOJ prosecutors will be called on to defend their decision to name ISNA as a conspirator." "Presumably the prosecutors have determined that they might need that testimony admitted; I hope we don't undermine their position." Guess what the opening session at the convention is going to be? 'The threat and reality of U.S.-sponsored torture'. "The extensive news coverage by the U.S. and international media sources makes it all too clear that the grim abuses in Abu Ghraib, Guantanamo Bay, and the sending of detainees to secret prisons around the world that are known to torture during interrogations, are not isolated incidents, but rather constitute policy of the U.S. government. This session will describe the nature of U.S.-sponsored torture, the effects of torture on its victims, the efforts of the U.S. religious community, and what you can do to help end U.S.-sponsored torture." Aside from the legal and moral implications, the DOJ won't reveal what this sponsorship is going to cost, either. President Bush recently outraged the Left with a speech to the Veterans of Foreign Wars in Kansas City that compared the situation in Iraq with the one in Vietnam. Essentially, the president said that America’s gravest mistakes in Iraq are in the past and that the counter-insurgency strategy devised by General Petraeus is working well, but that a major question remains: "Will their elected leaders in Washington pull the rug out from under them just as they’re gaining momentum and changing the dynamic on the ground?" 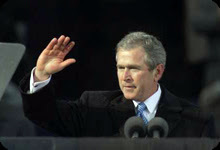 By `elected leaders' it was apparent President Bush mostly meant `Democrats'. Is he right? Oddly enough, only in domestic political terms. Even stranger, when you expand the context beyond mere domestic politics, there are similarities with Vietnam with enough mud to slime both the Administration and its opponents. In an election year, with a war with Islamic fascism looming in spite of widespread denial, the last thing Democrats want to hear is the `V' word.They much prefer trying to sell the electorate a Clintonesque retreat from history. For the most part, the Democrats have been absolutely obsessed with trying to force a military retreat from Iraq, fueled in no small part by a personal hatred of the President and a lust for a return to power that dates to the `stolen' election of 2000. In this they were aided by the somewhat murky justification for invading Iraq in the first place and the Bush Administration's serious errors in managing the war. This obsession goes as far as the leaking of classified information by members of Congress to the partisan press, the vilification of our troops, comments and speeches that can only be described as aid and comfort to our enemies and even the suspension of an entire defense spending bill that torpedoed a pay raise for the military and vitally needed equipment by Senate majority Leader Harry Reid out of sheer malice when he found out that he lacked the votes to attach a deadline for withdrawal to it. This kind of conduct reeks of the Left's behavior during Vietnam. It's a common misnomer that the North Vietnamese `won' the war in Vietnam and that it was a military defeat for the US when in fact the victory that North Vietnam won was right here in the US, on the home front. North Vietnam's greatest achievement - with the willing help of a number of Americans - was the propaganda victory that painted America as imperialist and its troops as `baby killers' while cheerfully ignoring the terrorist barbarism and aggression of the Communist NVA and the Viet Cong. They were able to successfully paint the conflict as unwinnable, as a civil war, and a `quagmire'. The North Vietnamese and their helpers here in the US were able to this so well that they literally saved the regime from defeat. As General Giap and others have admitted, the NVA suffered a catastrophic defeat when they decided to face US firepower head on in the 1968 Tet offensive. After that massive debacle, there was hardly anything left on the ground to oppose US and allied forces from invading the North and ending the war...except the Left and the media here at home, and a Democrat president who still hoped to be nominated by his party for re-election by appeasing them. Lyndon Johnson's unilateral ceasefire and halt to the bombing of the North gave the Viet Cong and the NVA the breathing space they desperately needed to regroup, replace their losses and rearm. But the real victory for the communists came later. One major difference between Vietnam and Iraq is that then, the Left at least waited until our troops were safely home before the final betrayal. In 1972, Richard Nixon was re-elected by a landslide against an anti-war Democrat, George McGovern on a platform of ending the war honorably without a US defeat, and in fact he and Henry Kissinger almost achieved it. The 1973 Paris Peace Accords called for North Vietnam to withdraw all its forces from Laos and Cambodia, including its Khmer Rouge allies and to not overthrow the Saigon government. In addition, in order to get South Vietnam's Theiu and Cambodia's Lon Nol to sign the accords, the US promised them military aid and air support in the event of a communist invasion. Those American pledges were shamelessly abandoned by the Democrats in Congress who came to power in the wake of Watergate...a number of whom are still in Washington today. They refused to honor a treaty signed by the United States Government and fund or authorize the promised US military aid, leaving the South Vietnamese and the Cambodians defenseless against the communist invasions by the NVA and the Khmer Rouge in 1975. Millions died or were condemned to the slavery of communist gulags as a result. Invoking Vietnam reminds people of this shameful legacy, and is the reason the Left went bananas. Nevertheless, the memory of Vietnam has been instrumental in getting most of the Democrat leadership to hedge their positions on Iraq as the news gets better while still catering to the Angry Left of their party, with Senator Clinton perhaps the most egregious practicioner of this reptilian sidewinding. President Bush simply had the bad taste to bring up this historical comparision right out in the open. Even if there were some things he left out. Now, I wouldn't expect the president to mention it, but if we're talking about similarities between Iraq and Vietnam, there are a couple of others that come to my mind. Neither war was properly declared by Congress, and the reasons for sending our troops in were never adequately and clearly explained to the American people.Like Iraq, Vietnam was a proxy war, with more at stake than was apparent at first. Then as now, we had a `bidness' president in office who embraced tactics designed to support a defensive, non-winning holding strategy with restrictive rules of engagement and untouched sanctuaries next door from which our enemies could attack our troops and the civilian population at will. Billions of US dollars were spent in both countries on military bases, infrastructure and aid and a good part of it was stolen outright, with neither administration really all that bothered about it. In both cases, the US allowed a corrupt and ineffective native government to come to power, though in fairness to Lyndon Johnson, at least Diem and Ky weren't cozying up with our enemies. And in both cases, these policies allowed the support of the American people for the war to erode..and justifiably so, since Americans like victory and have an instinctive understanding that sitting on defense and allowing the enemy to hit you is a route to defeat. If, as President Bush says, our worst mistakes in Iraq are behind us and our new military strategy is working, it's to be hoped that he has some of the other parallels with Vietnam in mind as well as the ones he mentioned. Attorney General Alberto Gonzalez became the latest Bush administration member to jump off the ship as he announced his resignation this morning. It wasn't exactly unexpected, as he's been under fire by Congressional Democrats for months, mostly for inquiries related to the firing of a few federal prosecutors and issues related to the Bush Administration's warrantless surveillance program. Gonzales appeared calm and composed when he announced to the press that that he was leaving effective September 17. He said his very worst days on the job were “better than my father’s best days,” he said, alluding to his family’s poverty stricken past, and said he had been able to live the American dream. “Thank you, and God bless America,” AG Gonzales said as a closer, exiting without responding to questions. Needless to say, the Democrats are ecstatic that he's leaving. "Alberto Gonzales was never the right man for this job,” said Senator Harry Reid of Nevada, the majority leader. “He lacked independence, he lacked judgment, and he lacked the spine to say ‘no’ to Karl Rove." Now there's a balanced, non-partisan view for you. Even more ominous for President Bush were the remarks of two Democrats who sit on the Senate Judiciary Committee. Senator Chuck Schumer(d-NY) who has been calling for Mr. Gonzales’s resignation for months, said this morning: "It has been a long and difficult struggle, but at last the attorney general has done the right thing and stepped down....Democrats will not obstruct or impede a nominee who we are confident will put the rule of law above political considerations." And then we have another Democrat on the Judiciary Committee who has been highly critical of Mr. Gonzales, Senator Russell D. Feingold of Wisconsin, who was even blunter and said the next attorney general must be a person whose first loyalty is "to the law, not the president." And House Speaker Nancy Pelosi said Gonzales replacement must commit "to cooperate with ongoing congressional oversight into the conduct of the White House in the politicization of federal law enforcement." I don't even have to bother quoting Senator Patrick Leahy, head of the Senate Judiciary Committee or John Conyers, head of the House Judiciary. They want Bush's scalp big time. Regardless of what it takes, whether it's justice or even whether it's in the country's best interests. The way I read it, they will only allow an attorney general who will cooperate with them in bringing impeachment articles against the president. 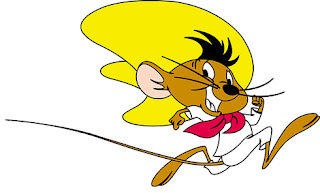 Gonzales was just one more obstruction. Will the Democrats be able to pull off an impeachment? Doubtful, but I think the name of the game is simply to bring the articles, tie up the Bush administration to prevent them from doing much of anything and emphasize the `GOP culture of corruption' slogan to the American people in an election year. Along with New Delhi and Mumbai, Hyderabad became the third large Indian city to be victimized by a major Islamist attack. There were two explosions at a crowded park where a laser show was underway and a third five minutes later at a popular fast food center on Saturday night. The bombs used alarm clocks as their triggering devices. The toll of dead and injured was supposed to be much higher. Indian police found and defused 19 bombs in plastic bags attached to timers at bus stops, parks, bridges and food stalls, planted so as to cause maximum death among civilians. Going by available intelligence, the nature of the explosives, and the bomb-maker’s construction techniques — what forensic experts refer to as a ‘signature’ — the bombings were likely carried out by the Harkat-ul-Jihad-e-Islami (HuJI), a subgroup of our old pals Pakistani -based Lashkar-e-Taiba and Jaish-e-Mohammad. A fair amount of evidence collected by India's security services , electronic and otherwise points at HuJI’s director of south India operations, Abdul Sahel Mohammad, who operates out of Karachi, Pakistan according to Indian authorities. Mohammad is a one-time Hyderabad resident who uses the code names ‘Shahid’ and ‘Bilal’ and is wanted by Interpol for at least four separate terrorist atacks. India has repeatedly called for his arrest, but Pakistan has responded by flatly denying that Mohammad is in Pakistan. This could be a very ominous sign for the future. Barely a year ago, armed with Pakistani President Pervez Musharraf stated that he was committed to a peaceful relationship with India and to ending terrorism directed at India from Pakistan. India's Prime Minister Manmohan Singh then revived peace talks and dialogue with Pakistan, including the establishment of an India-Pakistan joint counter-terrorism force. Since then, Islamists and their allies in the Pakistani military and security services have been working to undermine Musharraf's regime. Given his domestic troubles and the political unrest in Pakistan, the Hyderabad bombing could very well indicate that the Islamist groups are no longer under control. 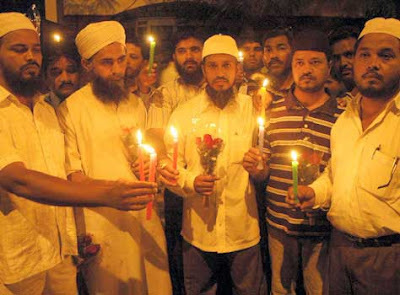 On the positive side, in Hyderabad itself, peace has largely prevailed between Hindus and Muslims, in no small part because local Muslims have unequivocally denounced the attacks, and are mourning their own dead and wounded....the bombers did not discriminate. "There is no doubt that it was a terrorist attack aimed at all people in Hyderabad —not Hindus, not Muslims, not anybody alone. In this hour of great crisis we need to stand together to defeat the enemy", said Hyderabad’s MP Asaduddin Owaisi. Mazhar Hussain, in-charge of the Confederation of Voluntary Organizations, said that the bomb blasts in the city should not be looked from the prism of Hindus and Muslims. "It is a bigger game the objective of which is to hurt India, bleed India. The investigation therefore should be quick, fair and credible at the local as well as national level", he said. Blogpal Zombie specializes in photo jounalism in the belly of the beast, my old home town San Francisco. His metier involves attending some of the most racist and insane `protests' by the Angry Left in the Bay area and photographing them live in a way the dinosaur media refuses to do. His work has been featured at JoshuaPundit many times. "Not many people have heard of a court case that goes by the name Al-Haramain Islamic Foundation v. George W. Bush. But it’s at the center of an epochal struggle over terrorism, surveillance, and the United States Constitution that’s currently being played out in the courts. On August 15, 2007, the Al-Haramain case made its way to San Francisco, where the Ninth Circuit Court of Appeals heard arguments prior to making a ruling — a ruling that (no matter which way it goes) will inevitably be appealed to the Supreme Court, where it will be settled once and for all. A Saudi charity known to finance terrorist activities opened a branch in Oregon. The US government tapped the phones of the Oregon branch and heard evidence that they were helping to finance terrorist activities as well. With this info in hand, the government designated the Oregon branch as terrorists, and froze their assets. The Oregon branch, unaware that they had been sureveilled and that the government had solid evidence against them, challenged this, and during legal proceedings, a government employee accidentally gave logs of the tapped phone conversations to the charity’s lawyers. At that point, the case changed gears: the charity hooked up with liberal lawyers to challenge the very legality of the surveillance, and by extension the legality of all secret surveillance. The decision was made to make the trial into a test case designed to weaken and embarrass the Bush administration. The government sought to circumvent this strategy by suppressing the evidence of the leaked document on grounds that its exposure would endanger national security. The governement requested back and eventually obtained all U.S. copies of the surveillance logs — but not before an unknown number of copies made their way overseas, presumably into hostile hands. Aside from revealing the fact that the charity was surveilled, it is not clear what “operational details” the document reveals. The government refuses to admit to the wiretapping or to say whether or not a warrant was obtained. The entire case, as it is now being litigated, hinges on the question: do the plaintiffs even have the legal right to sue the government? In order to prove they have “standing,” they must prove they were surveilled; and so must refer to the only evidence which proves this, the mysterious document. The government claims the document is Top Secret, and thus not admissable evidence. It is this question that was being argued to the Ninth Circuit Court on August 15." I'm actually familiar with Al-Haramain as one of the chief Saudi weapons used in jihad here in America, but I was not completely aware of their global reach. Al-Haramain is headquartered in Riyadh, Saudi Arabia, has branches worldwide and has essentially been a `charity front' used to funnel money to fund jihad worldwide. As Zombie shows, as far back as 2004 CBS news had revealed that western governments were aware that funds donated to Al-Haramain found their way to Al Qaeda, and had been used to finance terrorist operations, among them the 1998 US embassy bombings in Tanzania and Kenya. Al-Haramain and its various international branches actually appear prominantly on the United Nations list of organizations that are associated with and/or provide support for Al Qaeda and is now globally banned by the U.N. They've also been named as financing the Bali bombing. 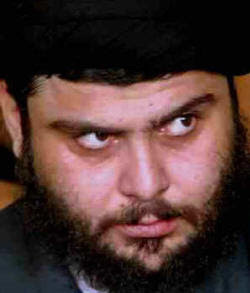 The Albanian and Bosnian branches of Al-Haramain have been shown to have direct connections with al-Qaeda, and have been designated terrorist entities by the US government, and as long ago as 2003 the U.S. Senate Judiciary Committee heard testimony that Al-Haramain was the main mechanism for Saudi Arabia to spread Wahhabi doctrine across the world. (And the Senate subsequently did nothing to curtail their activities inthis country,I might add). Both al-Qaeda in Iraq and Osama bin-Laden have referred to Saudi Arabia "Al-Haramain Country." Zombie has a number of other useful links providing information on Al-Haramain as a weapon of jihad against the West,including articles by ex-terrorist Daveed Gartenstein-Ross that includes an insider's account of his time working at the `charity'. As far as the trial itself goes, Zombie is entirely correct that it will end up in the Supreme Court. That's actually a good thing, since the three judges hearing the case include two Clinton appointees and one Carter appointee. It's no accident that the Ninth Circuit court of Appeals has the distinction of being the appelate court withthe highest number of decisions reversed or revoked in the entire US, by a very wide margin. 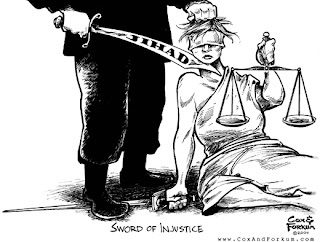 This trial will end up being a `threshhold moment' in the War Against Jihad. A major high five to Zombie for his sterling work in alerting us to it. I have a fairly low opinion of the NAACP, as I do with most groups that thrive on the `victim' industry...but I have to admit the NAACP has now hit a new and disgraceful low, to the point where no reputable person of any race would want to be associated with it. I haven't reported much on the Michael Vick case,animal lover that I am, because the details are frankly sickening. So for those of you that don't know, here are the bare facts. This multimillionaire athlete had a little side business going aside from his football career...breeding and savaging pitbulls for use in illegal dogfighting. As part of the `business', Vick financed, oversaw and personally participated the deliberate torture and savaging of these dogs, and the execution of those deemed `losers' by drowning, hanging, beating, shooting or electrocution. He was busted for felony animal torture and originally planned to lie about it and had already started to play the race card. Then his attorney found out that one of his fellow subhumans, Tony Taylor had made a plea bargain with the feds which included an agreement to rat Vick out. 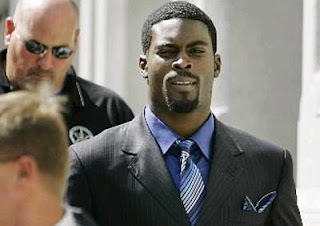 Vick pled guilty the next day. Enter the NAACP . The head of the Atlanta chapter held a press conference today to say that Vick's conviction shouldn't result in a lifetime ban from the NFL and that league and corporate sponsors should give him a chance to get back into the big money again. "We should join hands as a team and recognize the fact that Mr. Vick is human, humans make mistakes, but we maintain that he is a redeemable human,'' said R.L. White, president of the Atlanta chapter of the NAACP. "And as a society, we should aid in his rehabilitation." "Michael Vick has received more negative press than if he had killed a human being," White said in a news conference televised on CNN. "We stand by the characterization that Vick has already been tackled," White said. "There's no need to keep piling on him." Anyone want to bet that a hefty donation changed hands in exchange for this? People tend to not look kindly on the sort of scum that abuse defenseless and blameless animals for their own profit and pleasure. Of course, I somehow doubt that this matters all that much to Mr. White and his ilk. Bidness is bidness. As for Michael Vick, I hope that he's not only banned from football for life, but that he gets to experience first hand just a little of the abuse and pain he put those poor dogs through while he's in jail. As a side note, Vick apparently made some overtures to the Canadian Football league about playing there if and when...and the Canadians, bless `em, told him to get bent. Here's hoping the NFL does the right thing by this sadistic sociopath as well. Victory? No, Anything But That!! They're falling thick and fast, my friends. As the military news from Iraq continues to improve and public opinion shifts, the Democrats are in trouble and scrambling for cover. Apparently Senator Clinton was just a little ahead of the pack. The latest to chronicle this change is the WAPO, writing on how the Democrats have been forced to `refocus' on Iraq because of the military progress there. Apparently the number three ranking Democrat in the House, Majority Whip James Clyburn (d-SC) had it exactly right...good News in Iraq `would be a problem' for his party, and what they will try to do about it remains to be seen. 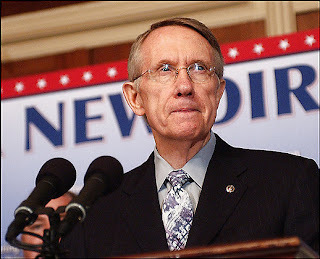 Speaking of which...has anyone heard from Senator Harry `the war is lost' Reid lately? A recently declassified internal CIA report eviscerated Clinton holdover George Tenet's actions as head of the agency when it came to dealing with counterterrorism. The CIA inspector general's report was buried and kept secret for three years, and the report's 19-page Executive Summary was only posted on the CIA's Web site after pressure from congressional members who threatened to legislate its release. The purpose of the IG report was to decide whether any CIA employees should be disciplined for failures in intelligence actions related to the 9/11 attacks. Unlike the politically motivated 9/11 Commission,the IG's report was designed to name names and ferret out responsible parties...which is exactly why it was buried. According to the report, The CIA had no concerted strategy to deal with al Qaeda in the months leading up to the 9/11 attacks and was guilty of numerous multiple analytical and operational errors that effectively prevented the CIA from stopping the attack. The report unequivocally states that the CIA and its officers "did not discharge their responsibilities in a satisfactory manner." Considering that President Clinton was otherwise engaged and that his own attorney general prevented the Able/Danger group from sharing intel on Mohammed Atta and the other 9/11 attackers with other intelligence agencies, I'd say the failure goes a little deeper than the CIA and its officers, but nevertheless, the new report is a breath of fresh air compared to what's gone on previously. According to the report, the CIA was guilty of "failure to implement and manage important processes, to follow through with operations, and to properly share and analyze critical data." It faults Tenet directly for failing to resolve conflicts with other agencies like the NSA, and says bluntly that Tenet "did not use all of his authorities in leading the intelligence community's strategic effort against" bin Laden. Mr. Tenet was "either unwilling or unable to marshal the full range of [intelligence community] resources necessary to combat the growing threat to the United States," the report said. Interestingly, it also notes that the CIA was restricted by post-Watergate "dirty asset" rules that limited recruitment( guess who put those rules in place) and relied too heavily on `foreign agencies' for information. In particular, the report says that CIA ties to Saudi Arabia limited the agency's ability to understand and stop al Qaeda. Fancy that...they were actually relying on the Saudis for intelligence on jihad! Of course, the blame doesn't totally revolve around President Clinton and his administration. The report recommended that the CIA should create an "accountability board" of non-CIA personnel to review the failures..something the Bush Administration never did, in an obvious effort to keep a few things buried and cover a few bureaucratic assets. I would also mention that, knowing what the Bush Administration knew about the Clinton Administration's attitude towards intelligence and national security, keeping George Tenet in place was likely a serious error. That became apparent later when Tenet allied with then Secretary of State Colin Powell to recommend the occupation of Iraq and `Arab democracy', as opposed to the Rumsfeld-Cheney recommendation of a major punitive strike against Iraq that would cripple Saddam's WMD and military capacity but avoid a US occupation, with all that it entailed. President Bush opted for Tenet and Powell's plan...with some unfortunate results. 1. 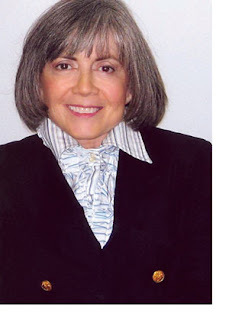 JOSHUAPUNDIT - Christians And Democrats: An Open Letter To Anne Rice I've always loved Anne Rice's writing,and happened to run across a piece on her website endorsing Hillary Clinton for president. What I found fascinating was her view that Senator Clinton and the Democrats have the answer to what she refers to as `the horror of abortion' and that the Democrats best reflect her belief in the Gospels as a believing Christian. After reading it, I took the opportunity to write her an open letter on what she had to say that covered these topics and raised what I saw as a few inconsistencies and questions. I then e-mailed her a copy of what you see here.To her credit I actually received a reply, but Ms. Rice chose the option of keeping her reply to me private. 2. Done With Mirrors: St. Nietzsche Callimachus uses an article by philosopher Roger Scruton to look at the legacy of Nietzsche and Wagner for the West in the 19th Century as a cauldron to examine the nature of faith and religion. Or, as Cal puts the question, is religion the cause of violence and sexual obsession or the solution to it? If we leave Islam out of the discussion, I think Nietzsche and Wagner's spiritual heirs, the Nazis answered that question quite succinctly. 3. Soccer Dad:The Economic War On Terror Soccer Dad writes a fine piece on a WAPO article by Robin Wright that looks at the proposed sanctions on Iran and the proposed labeling of Iran's Republican Guard as a terrorist organization. Aside from the fact that her article is riddled with inaccuracies ( Ahmadinejad did not `rise up from the Republican Guard', but from Iran's SA, the basiji) Ms. Wright is inadvertently correct for all the wrong reasons, IMO. Russia,China and the Islamic bloc will prevent sanctions from achieving any meaningful impact. Moreover, Iran's Pasduran,(the Republican Guard) are not `terrrorists' in the usual sense of the word. They are part of the armed forces of a nation that has oficially been in a state of war with the US since 1979, has acted accordingly and continues to wage its war against us. We ignore that at our peril, and it's time we dealt with it as we would any other nation engaged in hostilities with us. 4. The Glittering Eye :Iwad Allawi's Stump Speech This week, The Glittering Eye's Dave Schuler does a good job of fisking a WAPO editorial by Iraqi politician and probable PM wannabe Iwad Allawi. I think Dave is entirely correct in thinking that Allawi is making a pitch for US support for a takeover with him installed as the new Iraqi leader, and also correct to have a certain amount of skepticism about his plans for Iraq as written in the op-ed. I would also say, however, that Maliki has proven to be an absolute disappointment and a tool of Iran, as I predicted from day one. If our political success in Iraq is going to match our military success, there needs to be a substantial change. Now that the Brits are weaseling out at a particularly bad time and turning Basra over to the Shiite militias backed by Iran, something's got to give. 5. Bookworm Room: Papa Giuliani Ms. Bookworm takes a good look at the uses of some of the candidates spotty marital and family histories as political fodder. While the political use of such things has always been a fact, its become much more common place and egregious today, thanks to the meltdown of political morality and the increased length of time political campaigns are lasting nowadays. Greg delves into local Texas politics with this one, writing about local Democrat Rick Noriega's criticism of Senator John Cornyn's voting record. As Greg points out, Cornyn's votes mirror the sentiments of the vast majority of his constituents. 7.Colossus of Rhodey: A Misguided College Senior Hube writes about an unfortunate piece in the Philadelphia Inquirer by a local college senior on how the violence in the inner cities is `the fault of racism'. Perhaps the highly privileged young man ( who has likely never experienced racism) merely needs a new prescription. I suggest he take one book by Thomas Sowell and one by Larry Elder and read them...and call me in the morning if his symptoms haven't improved. 8. Cheat Seeking Missiles: God's Warriors? Laer does a fine job taking apart a CNN puff piece by Islamist apologist Christiane Amanpour on religiously inspired terrorism that seeks to equate Islam's murderous jihadis with `God's Jewish Warriors' and `God's Christian Warriors'...phrases Laer claims she actually had the temerity to use repeatedly during the broadcast. As Laer points out, there are hardly any Christians who would call an abortion clinic bomber a `martyr' or any Jews who would use "Jewish warrior" to describe the handful(with a few fingers left over) of Jews in Israeli society who resort to quid pro quo terrorism against Arabs..whereas, with Islam, such accolades and approval are far more widespread because, like it or not, they are justified by a fairly conventional and mainstream reading of what's in the Qu'ran and the hadiths. 9. On Science, Fashion & Being PC at Okie on the LamThis week, Okie writes J. Michael Bailey, a psychologist at Northwestern University, who has a hypothesis about transgender women that is diametrically opposed to the current PC views and has apparently been vilified for it. 10. Right Wing Nuthouse: Is The United States An Imperialist Power And Does It Matter? Rick's piece this week is essentially a beat down on one of his favorite targets, leftist blogger Glen Greenwald. Suffice to say that it's a pretty one-sided bout. The US experimented with imperialism back in the early 20th century, after the Spanish American War and realized two things: (a) we didn't like it much, and (b) it was a lot cheaper and more profitable to let the `natives' rule themselves and concentrate on buying and selling with them, perhaps with a few strategic military bases as needed. It took `sophisticated' Europeans centuries to find this out the hard way. 11.The Education Wonks: The Spellings Report: Margaret Heads South EdWonk takes on US Education Secretary Margaret Spellings elephantine pronouncements and has a few harsh and entirely justified things to say about her. Remember when President Bush said he was going to be the `education president'? 12. Big Lizards: Horrific Nineveh Bombing Shows Counterinsurgency Working Daffyd writes about the horrendous homicide bombing in Ninevah that victimized between 250 and 500 Yazidi Kurds, and makes the argument that the location and nature of the attack show thatGeneral Petraeus's strategy is bearing fruit. On your website, you recently posted an endorsement of Senator Hillary Clinton for president, and wrote that in your opinion, the Democratic Party best reflects the values you hold based on the Gospels. An endorsement of Senator Clinton is, in itself, unremarkable and certainly, a matter of opinion that anyone could respect based the principles of freedom I'm sure we both hold dear. What intrigued me was your rationale for these beliefs in light of the other strong views you profess as a believing Christian. 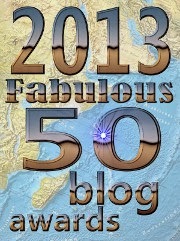 Hopefully what follows will be food for thought and dialog and a basis for clarity. You start out by writing that you are `devoutly committed to the separation of church and state in America' and that the separation of church and state has been `good for all Christians in this country'. I find that an interesting idea. The phrase `separation of church and state' appears nowhere within our Constitution, and the concept was alien to the founding fathers. They went to some pains to acknowledge the debt of our new Republic to a divine providence and to link its success, liberty and prosperity with faith in G-d. What is actually written in the Constitution is that Congress shall make no law regarding the free practice of religion, and as the founding fathers made clear in their subsequent writings, this was expressly designed to avoid the establishment of a state church, the subsequent struggles for power between various denominations and tests of faith to hold public office, which the founders had seen first hand in Europe. The concept of `separation of church and state' is a fairly new and fluid one, and an issue that is still being hashed out by the Supreme Court, as America still remains an intensely religious nation. The idea of a formal legal separation of church and state first came to light in a significant way in the 1970's, when the original Constitution's express meaning was stretched out of shape by a predominantly liberal Supreme Court, sparked by politically designed lawsuits from the ACLU, an organization then headed by a committed Marxist and atheist, Roger Baldwin.This, of course, was also the court that distorted the equal protection statues of the Constitution to make Roe V Wade the law of the land, something you also mention later on in your missive, and which I'll revisit shortly. As for this being `good for all Christians', respectfully, I find it fascinating that you, as a believing Christian would see it in that light. You need merely glance at Europe's social democracies, which unlike America have actually had legally mandated strict separation of church and state for several generations. The result has been a profound lack of respect for Christianity and a major decline in its status and influence as well as a general withering away of Judeo-Christian morality and values in these societies. As you may know, Pope Benedict has had a number of things to say on this subject. It is also interesting to note that these aggressively secular European social democracies are held up as a model for America by almost all the leaders of the Democratic Party. In the second part of your statement, you write movingly about abortion, referring to it as a `horror' and say that regardless of your firm opposition to it, you are not convinced that legal restrictions on abortion will work, or that rescinding Roe vs. Wade, or `packing' the Supreme Court with judges committed to doing this is a solution.You call for increased education on the part of men and women so that they make intelligent and moral reproductive choices and say that the Democratic party is most likely to lead the country to a solution on abortion. Might I submit to you that what you're really horrified over is not abortion per se (which after all, has been around for a very long time), but the culture of abortion that has legitimized and normalized this practice as a `reproductive right' that came into being when Roe V Wade became the law of the land. You call, essentially, for a change in that culture, rather than an outright legal ban on abortion and I agree with you. But you might ask yourself: broken down on broad lines, which party has most supported that culture and backed legislation to enable it? Who has fought tooth and nail to oppose parental notification in the case of minors, sonograms in abortion clinics and the banning of the barbaric practice of partial birth abortion? Are you aware that Senator Clinton, your preferred candidate voted against banning this modern form of infanticide, in which an almost fully formed baby is partially dragged out of the womb legs first, has its skull punctured with scissors and its brains vacuumed out to collapse the head before it is removed as a corpse from the womb? It is the Democratic Party, Ms. Rice, that receives vast amounts of money in cash and in kind from NARAL and other groups who support unrestricted abortion on demand and are part of what can only be referred to as the abortion lobby...which is why the debate over abortion is being held entirely on the Republican end of the campaign, and the Democrats running for president have not even mentioned the issue in their numerous debates. Forgive my presumption,but I simply cannot see how you would expect the party that derives the most benefit from the status quo on abortion to take the lead in changing things. And given how you feel about the issue, I have trouble seeing how you could support the party - and the candidate - who are on the record as promoting a practice you admit to being horrified by. One simply can't have it both ways, in my opinion. Am I suggesting that one cannot be a committed Christian and a Democrat? Of course not, and I have friends who are. But frankly, it is a minority position unless one is prepared to step around a veritable minefield of certain issues and ignore others. I am a registered independent, and we both know that G-d is neither a Republican or a Democrat. 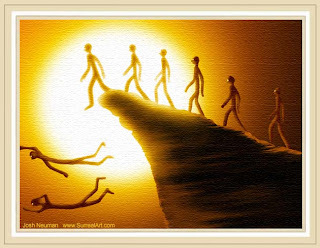 But as someone who is not a Christian but who has infinite respect for those who are, the inconsistencies that emerge make it quite obvious to me why most people of faith increasingly tend not to support the Democratic party, given my understanding of the Bible and the Gospels and what they signify. I would be quite interested in your response and further discussion on these issues, either publicly on my website or privately via e-mail if you wish, and I look forward to hearing from you. OH NO!!! There's a global champagne shortage!!! Charges dismissed on two Haditha Marines.. Weekend Monkey Up In New Iowa Poll! Terrorism Incident in South Carolina?